Reducing our plastic consumption is a hot topic on the news and social media at the moment. This is something I’ve been interested in for a long time and now, in the UK at least, it’s become a focus of general debate. Inspired by the focus on plastic, I decided to research the plastic components in yarn and identify the plastic-free alternatives. So, on the one hand, plastic is a great invention that most of us rely on in many different ways. However, it also has its downsides. Plastic is manufactured from fossil fuels and is non-biodegradable. Its use, therefore, continues our reliance on fossil fuel which is not a sustainable resource. The fact that it doesn’t biodegrade is also a cause for concern and increasingly plastic is getting into our waterways and oceans and having an impact both on the wildlife and the food chain. Some of the additional chemicals used in the production of plastic products are believed to be linked to health problems (e.g. see Life Without Plastic for information on BPA and BPS in drink bottles). Microfibre pollution of the planet’s waterways and oceans is an increasing problem. A recent IUCN report has highlighted that up to 30% of the plastic pollution in oceans is as a result of microfibre pollution. When we wash synthetic fibres in both our home and industrial laundries, the report estimates that this could account for 35% of the microfibre pollution. I certainly don’t live a plastic-free life but do try as much as possible to reduce the amount of plastic I use. I’ve rejected straws in drinks for many years, have invested in a soda stream to meet my fizzy water habit rather than buy plastic bottles and buy loose vegetables where possible. 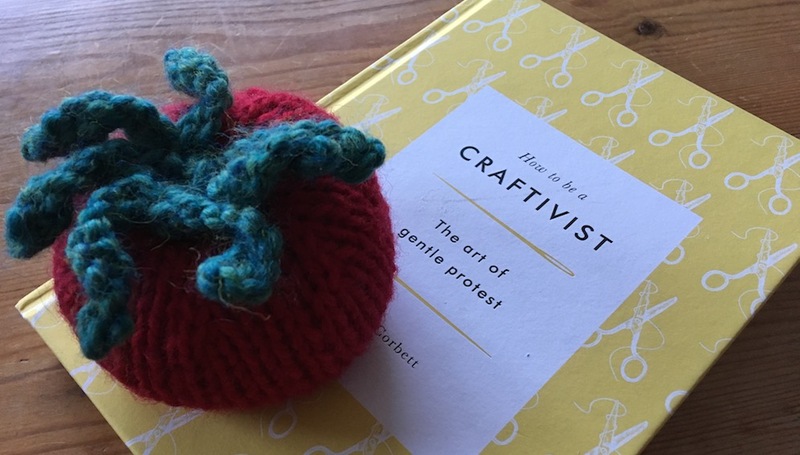 In fact, I’ve become so keen on buying loose vegetables that I’ve planned a little bit of ‘craftivism’, inspired by Sarah Corbett, founder of the Craftivist Collective. To raise the issue of plastic packaging, particularly on the top-range of tomatoes, I’ve knitted a lovely package-free tomato as a gift for my local supermarket manager. I intend to give this to him with an accompanying letter encouraging him to influence the availability of more plastic-free tomatoes. 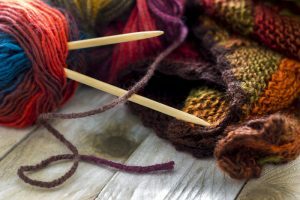 However, when it comes to knitting and crochet, the plastic issue isn’t always as obvious as it is with plastic bottles and food packaging. I haven’t actually seen anyone advertising plastic yarn – it doesn’t sound very cosy or user-friendly, does it? However, much of the yarn available to us knitters and crocheters has a ‘plastic’ element. I don’t want to get too technical here and I’m no scientist. However, acrylic, polyester and nylon (also known as polyamide) are all derived from synthetic polymers (plastics) and are commonly found in yarn. For a detailed description of each, have a look at Natural Clothing’s informative website. Apart from the price point and the washability of synthetic fibres, they also have other positive qualities. For example, acrylic yarn is lightweight, soft and warm, is resilient, takes colour well and is colourfast. Nylon is more often than not a key component of sock yarn as it provides durability. I’ve had many conversations with people who argue that without any nylon content those beautiful socks that you’ve spent hours knitting and successfully heel turning will have holes in them within months. What are the alternatives to plastic yarn? As with every purchasing decision, we need to think about what’s most important to us. Is it better to avoid plastic-based components or make items that we can put in the washing machine? 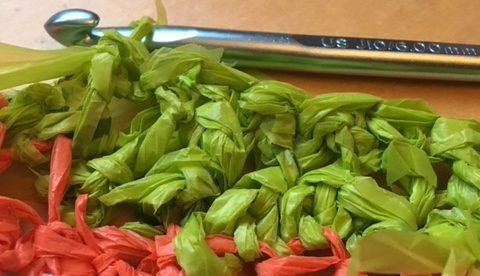 Also, let’s not get carried away with the scale of what we’re talking about – even if I spent the rest of my life knitting socks with a nylon element this would be a small contribution to my ‘plastic footprint’ compared to the plastic that I make use of daily. However, I am intrigued by the alternatives available. For me, using plastic-free yarn is relatively easy. I tend to knit accessories for myself or friends, I don’t knit larger garments and I don’t knit for children. So, having to hand-washing items isn’t a big issue for me. What has intrigued me though is the nylon-free sock debate. Is it possible to find sock yarn that is durable and nylon-free? “Mohair is often referred to as nature’s nylon, so this yarn is particularly well suited to making socks”. Another great-looking sock yarn is Whistlebare’s Cuthbert Sock Yarn which is 80% mohair and 20% Wensleydale. Town End Yarns – 45% Peruvian alpaca, 35% organically farmed Falklands Merino and 20% Mulberry silk. There is also good news on the ‘superwash’ front– Schoeller spinning have invented an alternative called EXP – which doesn’t use chlorine and coats the fibre in ecological polymers. I’m not entirely sure what an ecological polymer is but it is approved by bluesign® and Global Organic Textile (G.O.T.S) standards, and it also conforms with the Okeo-Tex standard. 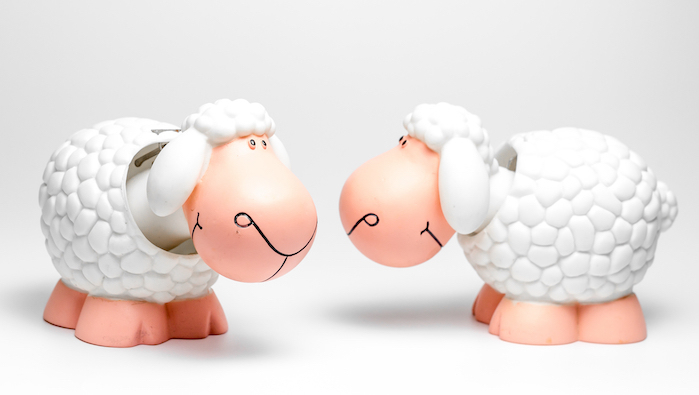 EXP is available in some yarn by the two Schoeller brands – Schoeller & Stahl and Austermann. 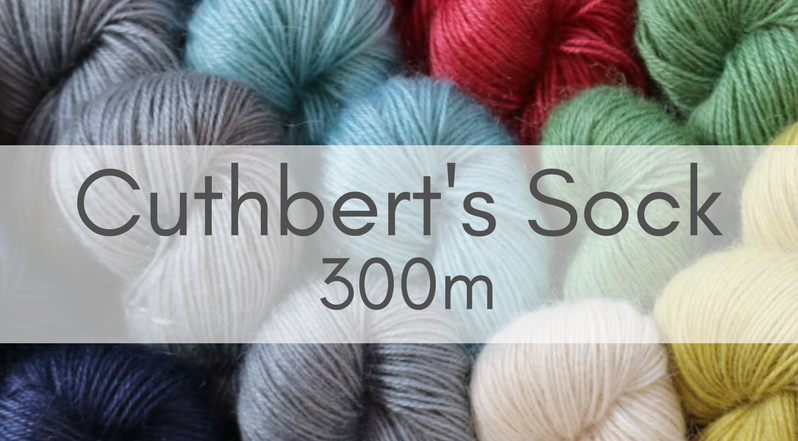 Whilst the Austermann Merino is 100% wool, the sock yarn does still have nylon content. I was amazed at the amount of synthetic fibre in my yarn stash. Even the luxury brands that I’ve knitted with have their fair share of plastic. 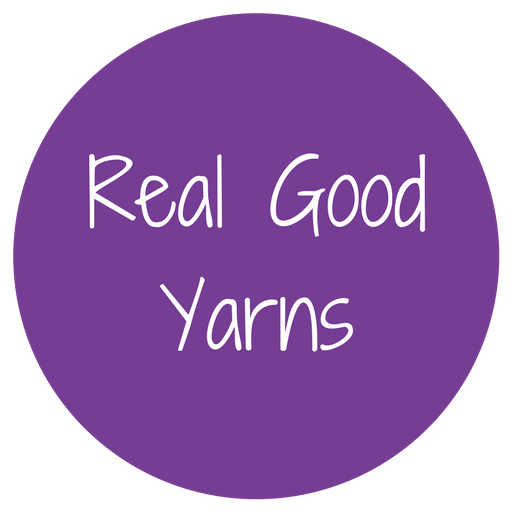 If you’re intrigued to know more about the yarn that you’re knitting or crocheting with then please check the label. 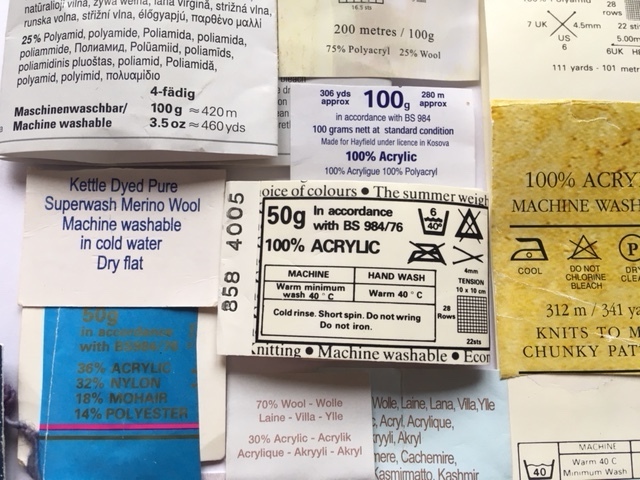 If you come across any great examples of ‘plastic-free’ yarn, particularly in relation to their washability and durability then please add a comment and let me know. http://Www.ardalanish.com use and supply British Native Breed yarns , grown and spun in the U.K. Thank you for this recommendation. I’ll get in touch with them to see about listing them in the directory. Like you, I hoped that Blackeryarns Hebridean wool with mohair would be the answer to avoiding nylon but it turned out not to be so – within three washes there was a large hole on the heel of one sock and significant thinning on the other. I’ve made socks using the same pattern with Regia wool/nylon yarn on numerous occasions and not had the same problem. Blackeryarns themselves admitted when I contacted them that the yarn was not turning out to be as abrasion-resistant as they had hoped. Shame, because it’s absolutely beautiful to knit with. Hi Helen – thank you for your comment. It’s good to hear people’s experience of knitting with the different yarns and a shame that the Hebridean wool didn’t work as hoped. I know of people saying that they’ve knitted the heel differently to allow for extra resilience, however, it’s all personal choice on how much more work to do. It’s good to hear that it’s beautiful to knit with though – maybe for some other garment? I’ve read that Blue-faced Leicester is strong enough for socks without nylon, but don’t have any experience of it myself as yet.